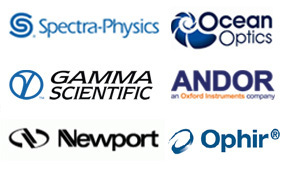 SEC CO., LTD. established in 1991, SEC pioneered e-beam control technology and served most advanced inspection & analysis system to customers for laboratory research and quality assurance. SEC prides itself on observing today’s ever-changing needs for its customers by providing the most advanced and efficient technology in order to meet customer’s production demands. Additionally, our goal is to provide the best service and attention to detail in order to exceed our customer’s needs in a constantly evolving, technological environment. SEC provides premier electron microscope for nanotechnology. 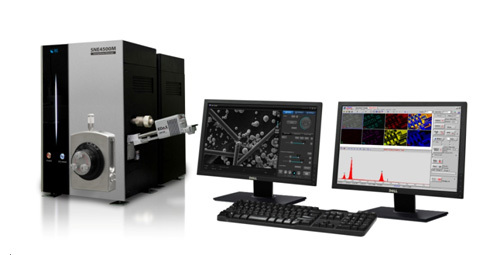 Nano-eye series covers affordable table-top electron microscope for entry level as well as conventional scanning electron microscope for experienced level. The SNE-5000M is a high-performance scanning electron microscope for observing fine structures. SNE-5000M provides Max. 300,000x magnification with switchable Max. 30kV accelerating voltage which fully covers all analytical applications. 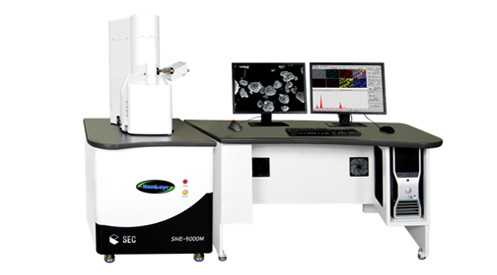 With outstanding configuration flexibility and unparalled operator-friendly desing, SNE-5000M will provide the best laboratory microscopy solution. SNE-4500M is focused on two essentials: powerful performance and user-friendly environment. 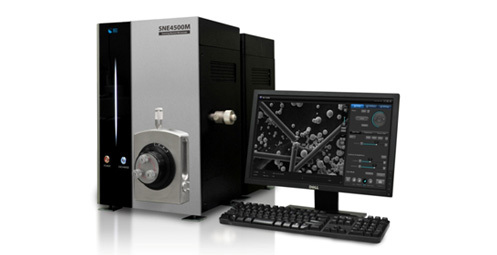 Even with the table-top configuration, SNE-4500M provides high-quality SEM images with the ease of use. No doubt about strong performance and flexible integration – full stroke control including tilt and rotation, optional EDX system and many other tools for your application. Mini-SEM can easily magnify up to 100,000x with variable (5kV to 30kV) accelerating voltage in seconds. Auto-focus, Auto-brightness and contrast produce an excellent image every time. EDS (Energy Dispersive Spectroscope) can be adapted SEC Mini-SEM. With powerful performance of Mini-SEM, it brings a very accurate analysis information including spot analysis, mapping, and so on. 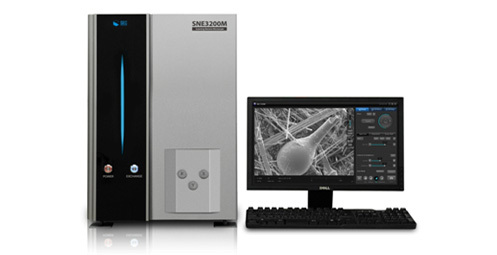 Mini-SEM SNE-3200ME is a table-top, high resolution, high magnification, high performance scanning electron microscope. The Mini-SEM combines the performance of conventional SEM, with the size, price, and ease of use you would expect from a table-top version. Mini-SEM can easily magnify up to 60,000x with variable (5kV to 30kV) accelerating voltage in seconds. Auto-focus, Auto-brightness and contrast produce an excellent image every time. Sample loading time < 2 min. EDX (Energy Dispersive Spectroscope) can be adapted SEC Mini-SEM. With powerful performance of Mini-SEM, it brings a very accurate analysis information including spot analysis, mapping, and so on. 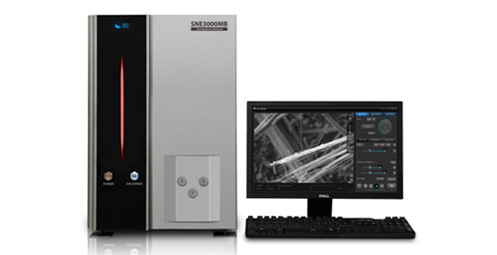 Mini-SEM SNE-3000MB is a table-top, high resolution, high magnification, high performance scanning electron microscope. The Mini-SEM combines the performance of conventional SEM, with the size, price, and ease of use you would expect from a table-top version. Mini-SEM can easily magnify up to 30,000x with variable (5kV to 30kV) accelerating voltage in seconds. Auto-focus, Auto-brightness and contrast produce an excellent image every time. MEDS (Energy Dispersive Spectroscope) can be adapted to all SEC Scanning Electron Microscopes. 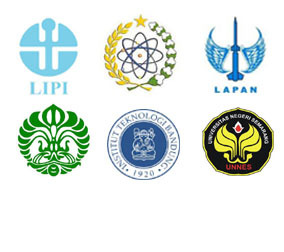 Elemental Analysis is the most widely used technique for elemental identification and visualization of material. EDS analysis facilitates the characterization of nearly all matter simultaneously starting from beryllium (4) on the periodic table. This technique is critical to the development of novel materials in research and development and for analyzing failures in the manufacturing process. Coated Surface Roughness Analysis. First two images shows failed coating with rough surface whereas last two images shows good and flat coated surface.